Soul Bloom is a powerful blend of soluble and natural fertility components, enhanced with potent botanical extracts. Designed specifically for enhanced quality and increased yields in versatile, demanding applications for the bloom stage. 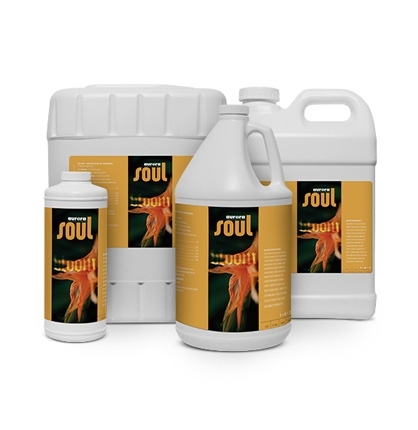 Soul Bloom and Grow are user-friendly and pH stable. Derived from: Bat Guano Extract, Alfalfa Extract, Kelp Extract (Ascophyllum nodosum), Yucca Extract, Molasses, Potassium Nitrate, Monopotassium Phosphate, Calcium Nitrate, Iron EDTA, and Magnesium Nitrate. Contains Non Plant Food Ingredient Humic Acid.